DeLena Ciamacco: The Real Estate Expert: NEW LISTING IN NEWARK! THE PERFECT ''TURN-KEY'' BUSINESS OPPORTUNITY! Established car wash business in the same location for ~25 years. 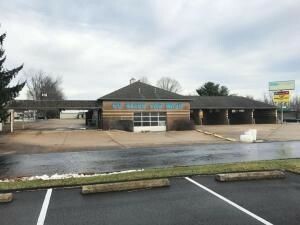 Gokleen car wash (business, equipment & land for sale but the name does not convey) located on nearly 1 acre at the very busy & visible corner of 21st & Price Rd. ~6,000 SF building with covered vacuum areas and 4 outdoor vacuum station. 4 self-wash bays. All block building with security cameras. Only $399,900! Call DeLena today!